Endocrine disorders such as diabetes and hypothyroidism are on the rise. Diabetes has reached almost epidemic proportions. Globally more the 150 million people have diabetes, accounting for more than 2% of the world's population. This number is predicted to exceed 300 million by 2025. One-third of the affected people will be South Asians. Type II diabetes accounts for more than 95% of all diabetes. Is thyroid disease also on the rise or are more people and physicians aware of it and therefore getting diagnosed? 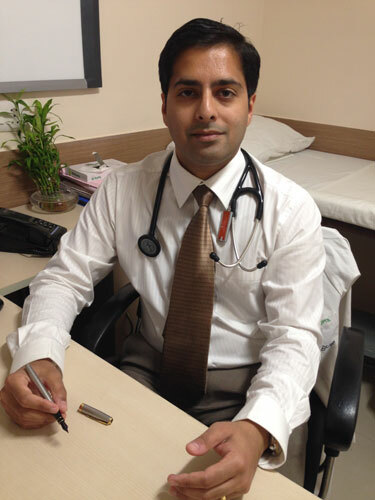 In conversation with SALT, Dr. Amit Bhargava, Consultant Endocrinologist at FORTIS C-DOC, Centre of Excellence for Diabetes, Metabolic Diseases and Endocrinology, in Delhi and Gurgaon, elucidates the causes, prevention, and management strategies of diabetes and thyroid disorders. Copyright © 2000 - 2015 [the-south-asian.com]. Intellectual Property. All rights reserved.